Glenwood Regional Medical Center's proud tradition of providing high-quality healthcare started more than fifty-five years ago. Over the years, the hospital has grown in size, adding new services and modern technology, but you'll still find the same family-oriented, friendly service that's been the cornerstone of this community hospital since the day it opened. Glenwood is the only full-service hospital in West Monroe. It is a 287-bed acute-care hospital offering a broad spectrum of services to care for the community. Our hospital has a reputation for delivering personalized, professional medical care which is built on the hard work and dedication of physicians, nurses, technologists and other members of our healthcare team. We offer outstanding career opportunities for qualified people who share our commitment to providing expert healthcare and excellent customer service. 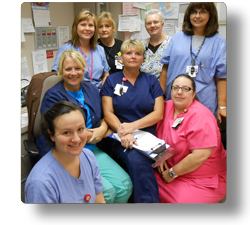 Our Mission is to provide exceptional healthcare and support through quality service to all. Our Vision is to become the standard of excellence in the promotion of health and well being among the members of our community.